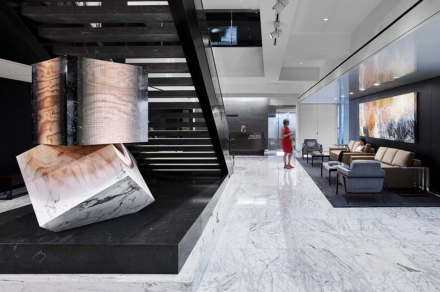 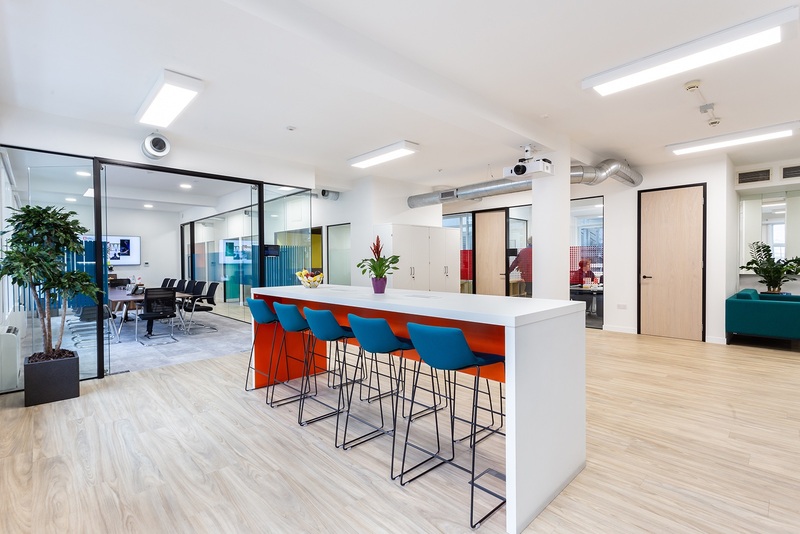 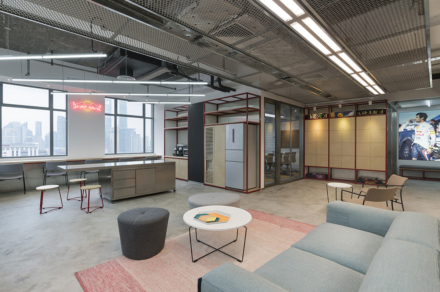 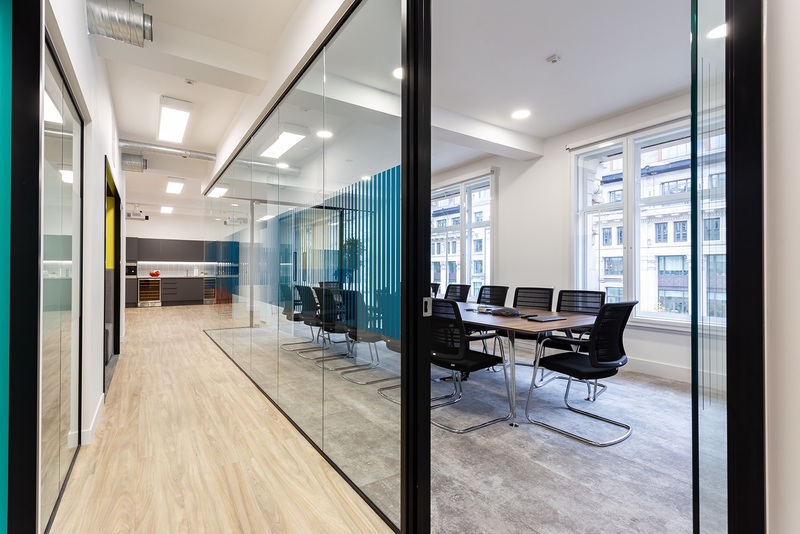 Intermusica, an international music agency that represents the world’s leading classical artists, has recently relocated into a new office in London, designed by workplace design firm Oktra. 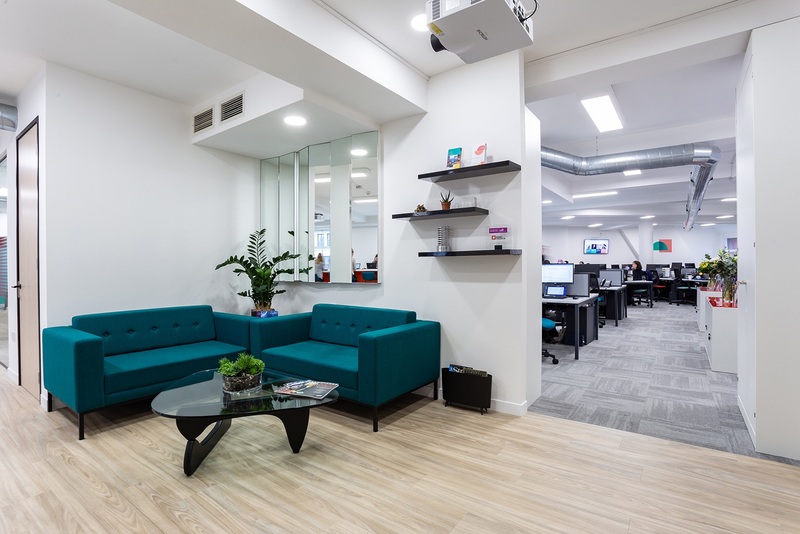 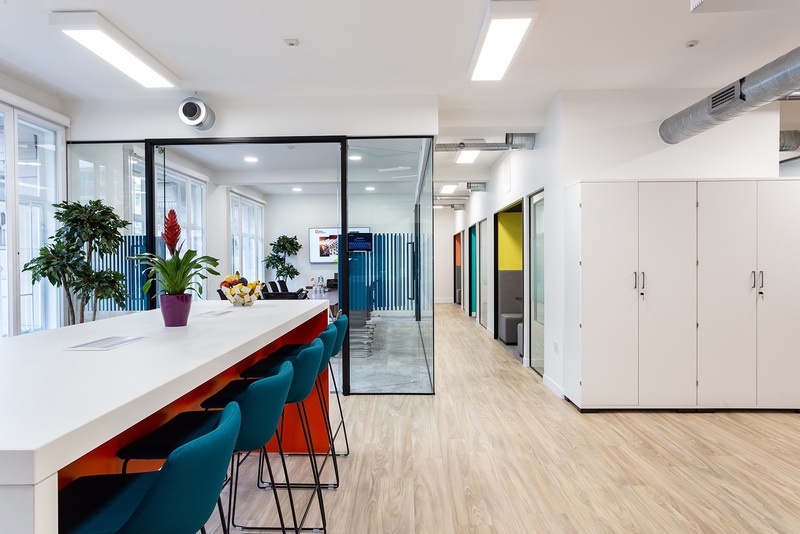 “Their lease in Islington was coming to an end and an internal survey concluded that a central London location was more important than a much larger office space. 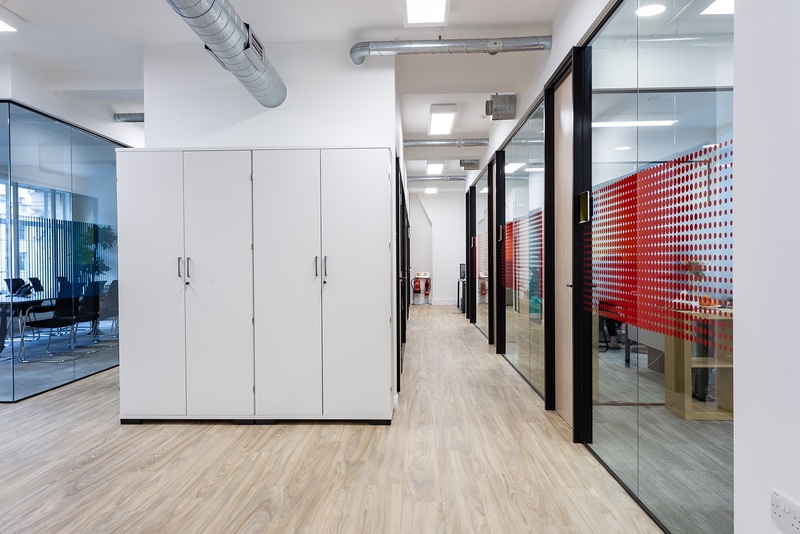 The aim was for this location to become a contemporary hub for artists and staff alike; to provide more space for growth; and to create a stronger brand identity. 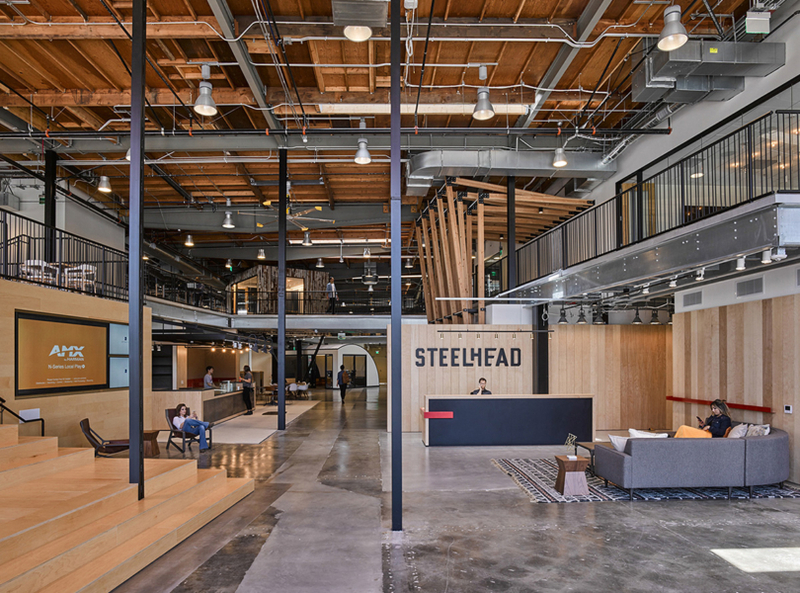 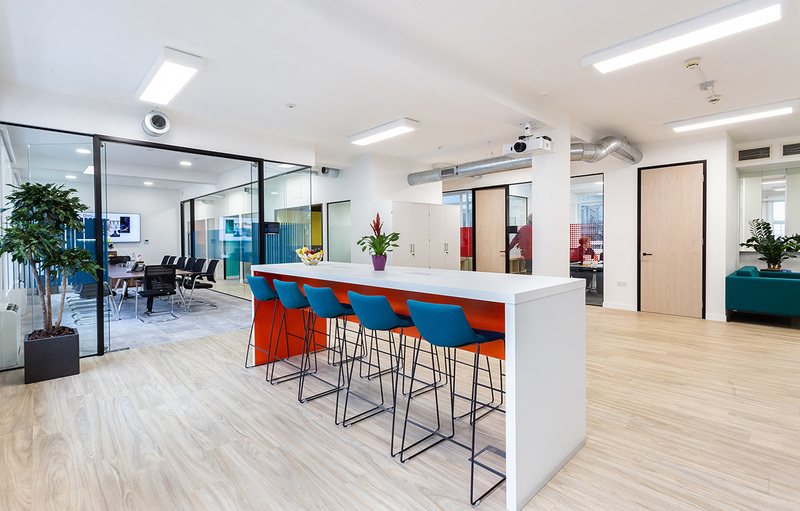 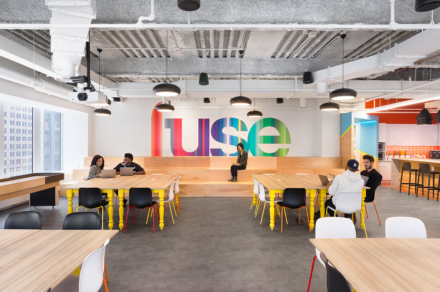 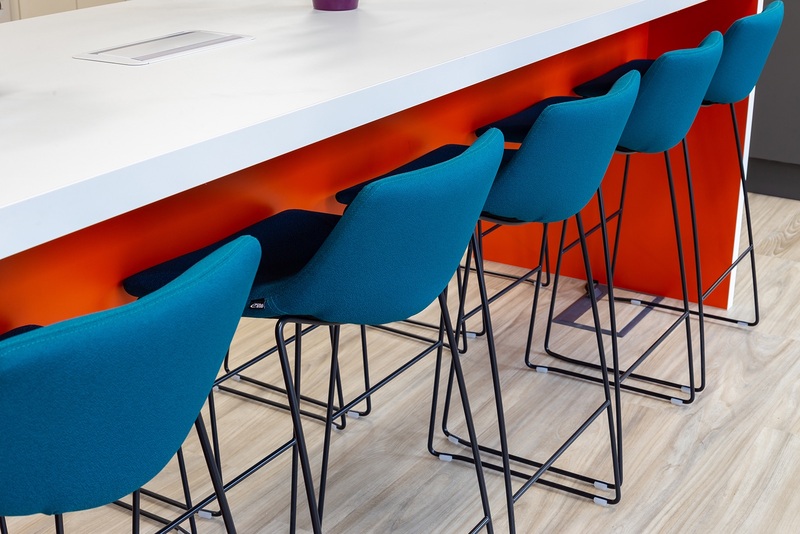 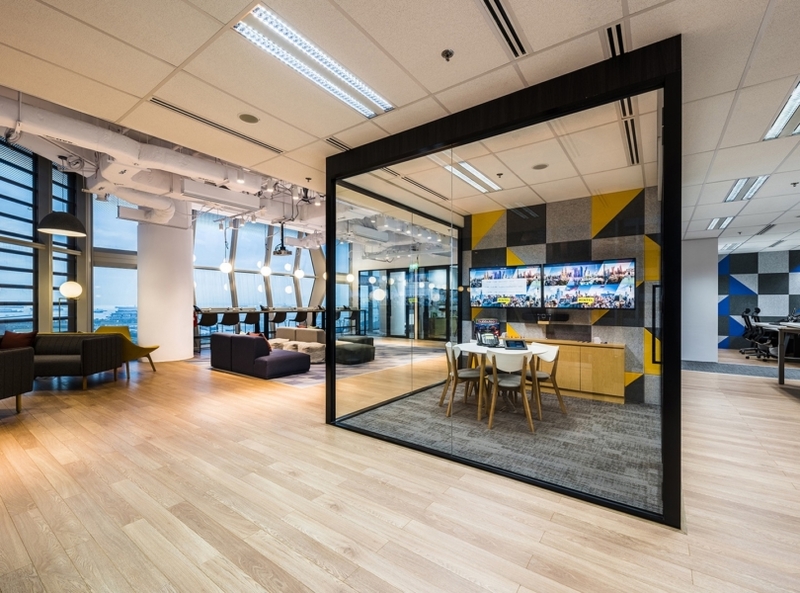 Following Intermusica’s own workplace consultancy, the Oktra Reach team developed the design around our client’s desire for a more collaborative workspace. 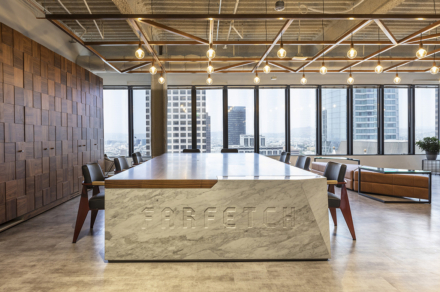 With careful planning we constructed a schedule that ensured the project ran on time and to budget. 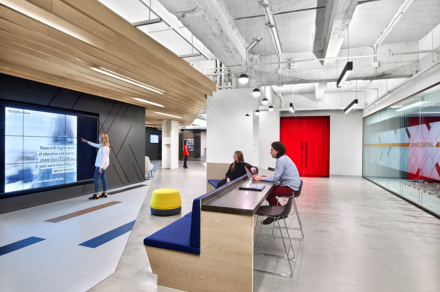 Our team created a design that was sympathetic to the building and considered the existing mechanics. 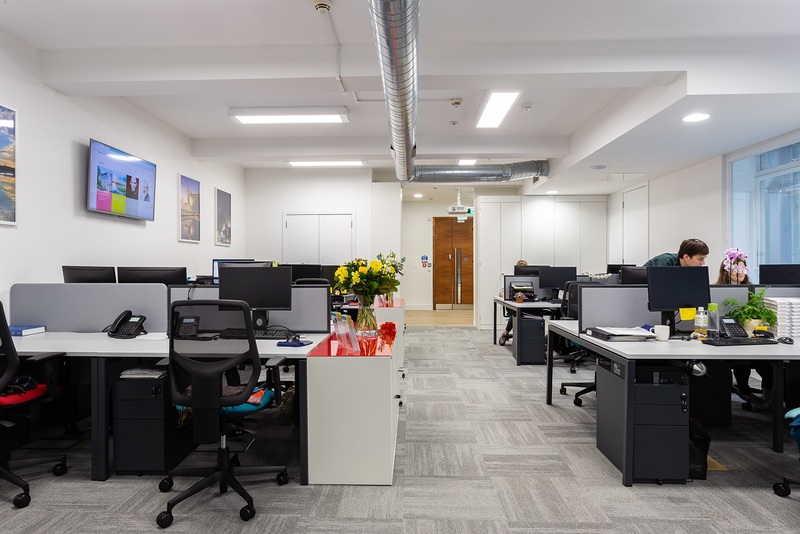 To ensure the space was ready for business from day one, we ran an induction to familiarise Intermusica staff with their new office and provided introductory booklets containing further information about the local area. 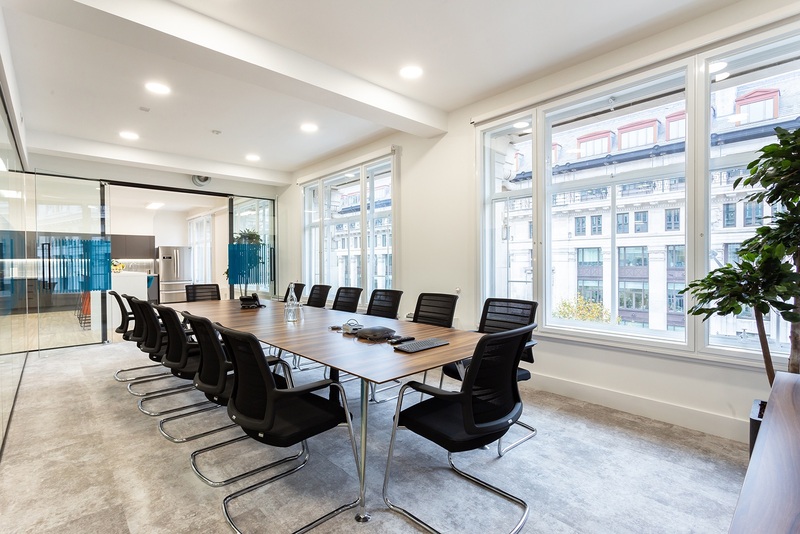 Intermusica now has a high-class meeting and entertainment space that they can show off to clients. 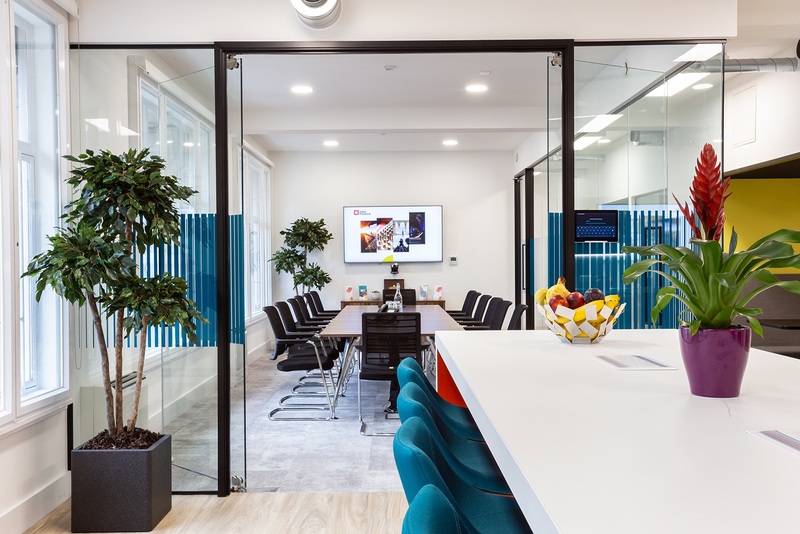 The office is open plan with a stylish teapoint and a large, sophisticated boardroom that can open up to create an events space. 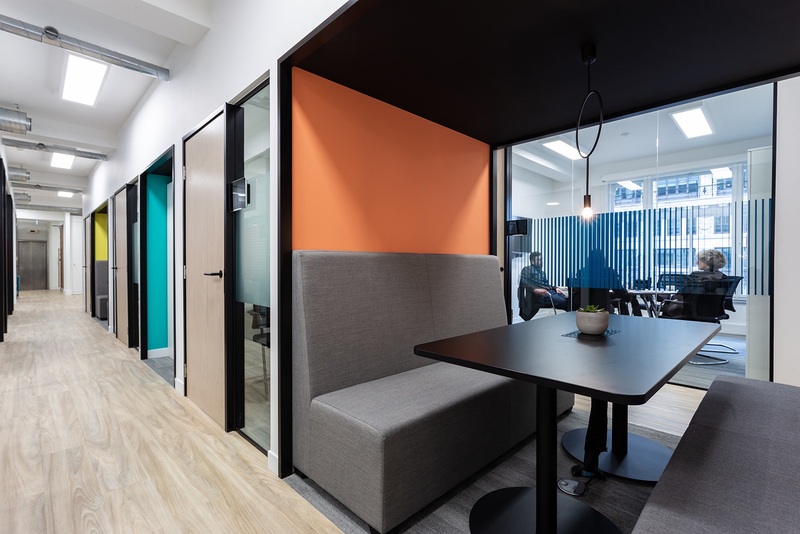 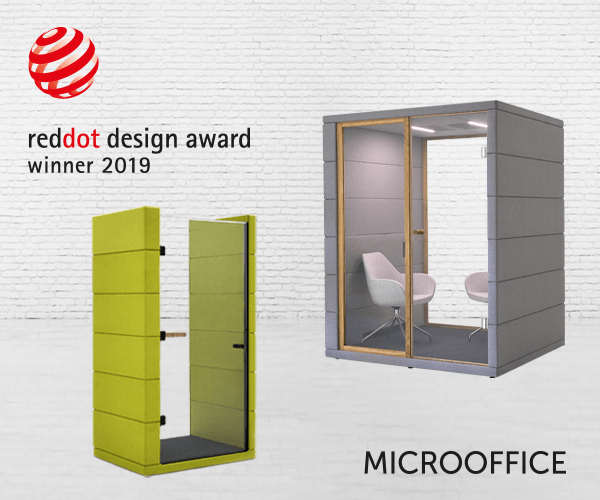 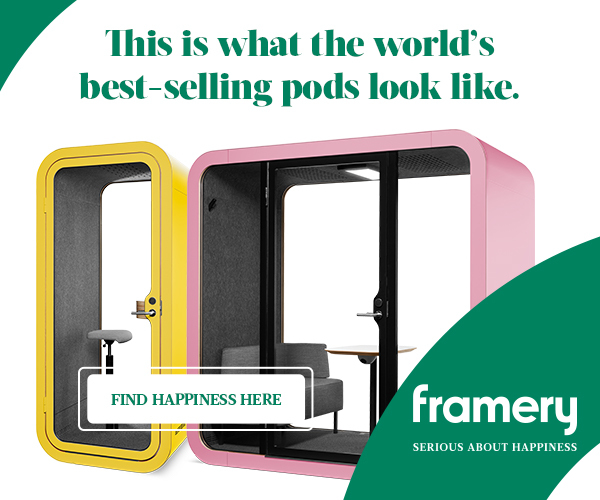 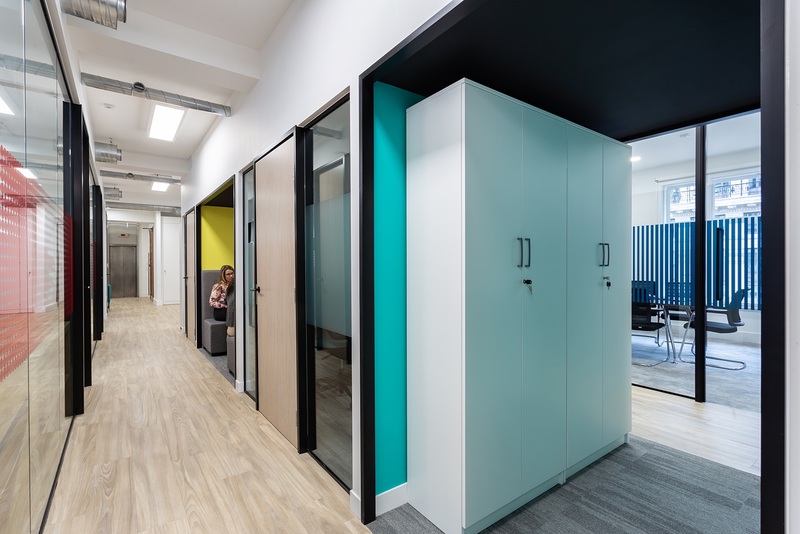 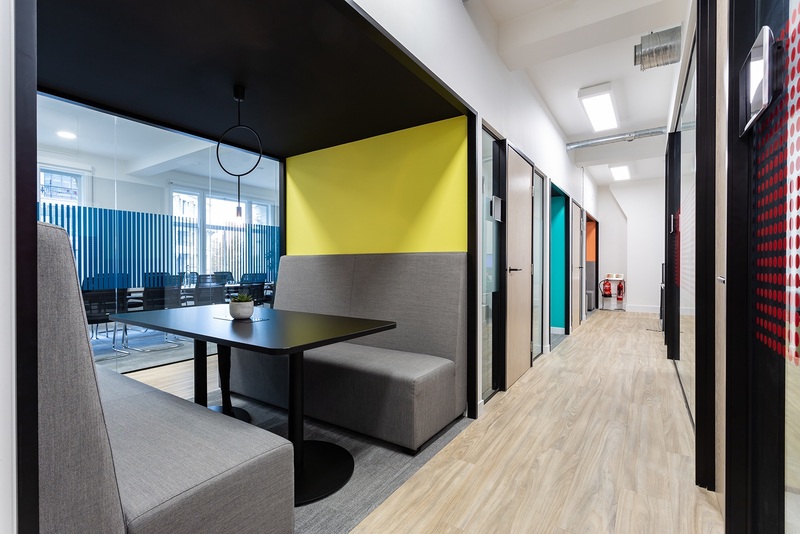 A central section of focus pods and booths allow for flexible and agile work away from the adjacent traditional desk environment. 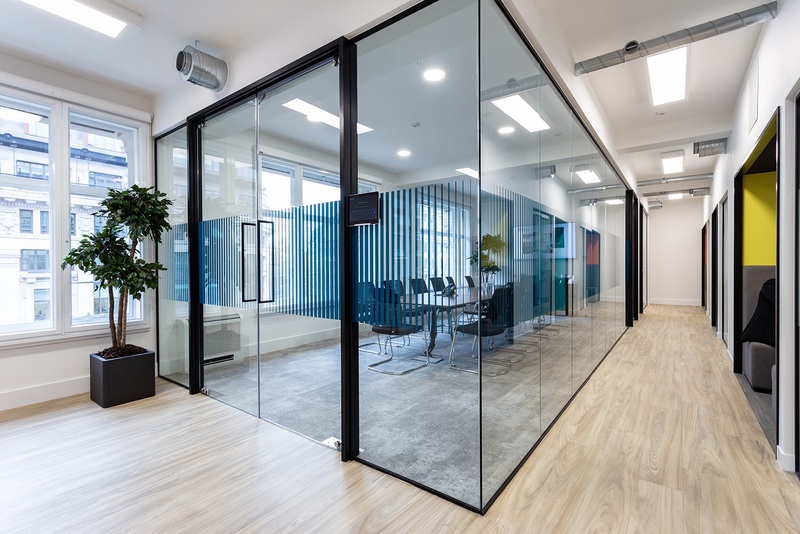 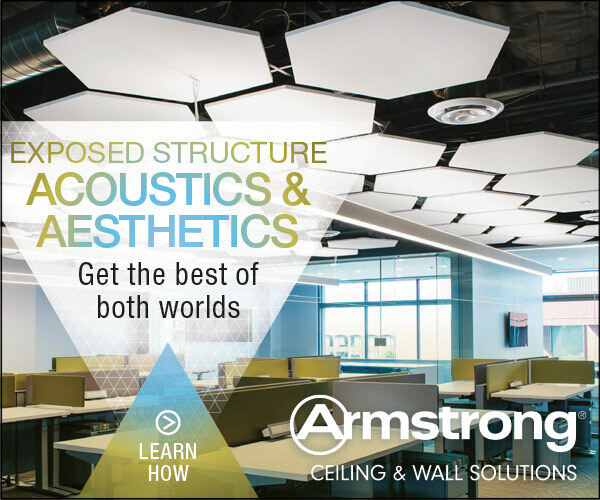 The office provides the opportunity for collaboration across different departments, which is integral to Intermusica’s ethos and culture,” says Oktra.